Gulzar real name Sampooran Singh Gulzar is an Indian poet, lyricist, film-maker, director, and playwright. is married to actress Raakhee and have a daughter Meghna Gulzar who is an upcoming director. 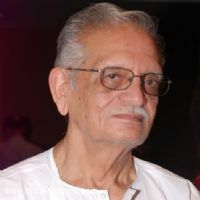 Check out the most updated and latest information about Gulzar's on the Internet.We have 9 videos of Gulzar including interviews, events, or public appearances.Gulzar has over 2 Fans registered on India-Forums.com. We have 39 Bollywood News articles related to Gulzar. We have over 1 Photos of Gulzar to view and download including Gulzar's Wallpapers.